It's got everything sports fans - and wing fans - dream of. Wall-to-wall big screens featuring all the games, a fantastic beer selection, award-winning chicken wings along with 14 delicious signature sauces, like Honey BBQ, Spicy Garlic and Blazin'. There's even Buzztime Trivia for all you trivia buffs out there. Come check out Wing Tuesdays or Boneless Thursdays, where you can chow down on tasty wings at very tasty prices. But no matter the day of the week, one thing is certain - nothing is more terrifying than "Night Hunger." So you can be sure that the kitchen stays open up until last call. Round up all your friends and check it out. If you can't stay, no worries. There's a takeout menu so you can take the flavor home. 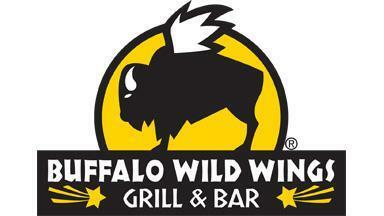 Buffalo Wild Wings. You have to be here.